2018 is in full swing! 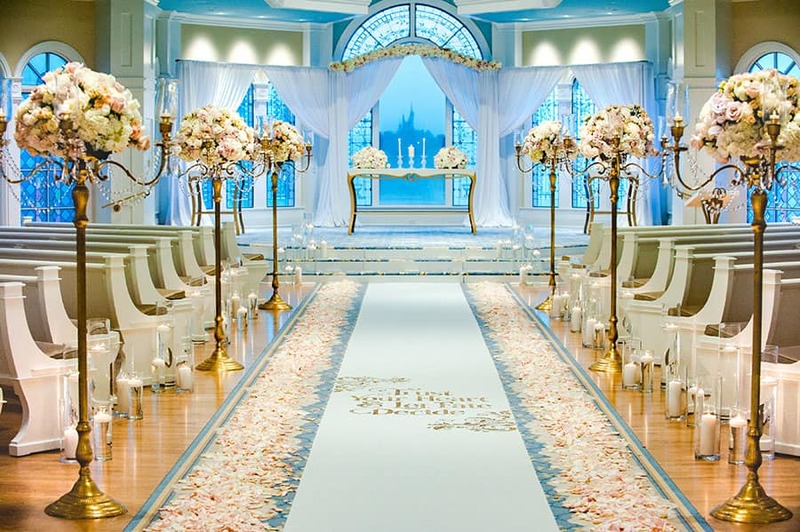 And with a new year comes new and exciting trends for the wedding industry. 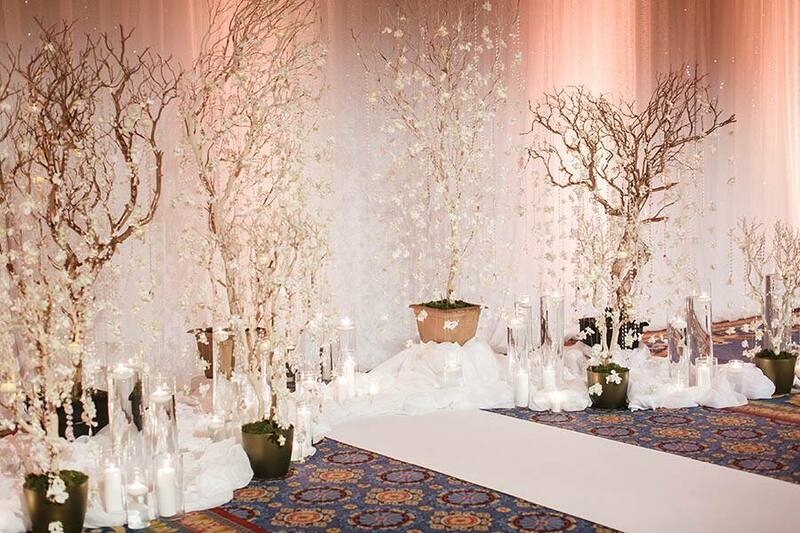 Today we are highlighting Disney Wedding decor trends for the new year. A popular trend for 2018 is the "third wall. " Take advantage of all the incredible space above your heads. 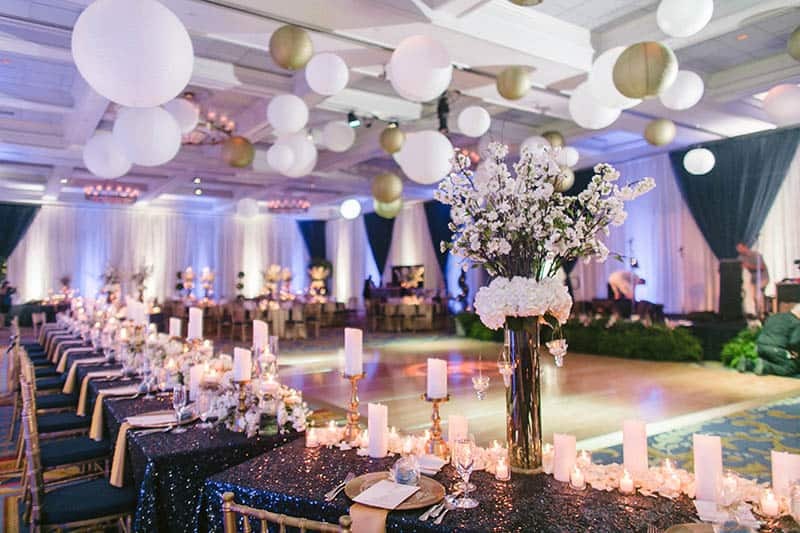 Twinkling lights, flowing fabric, lanterns, or cascading flowers are a beautiful way to enhance the venue and add unique touch to the space. I am especially excited for the trend towards formal weddings in 2018. 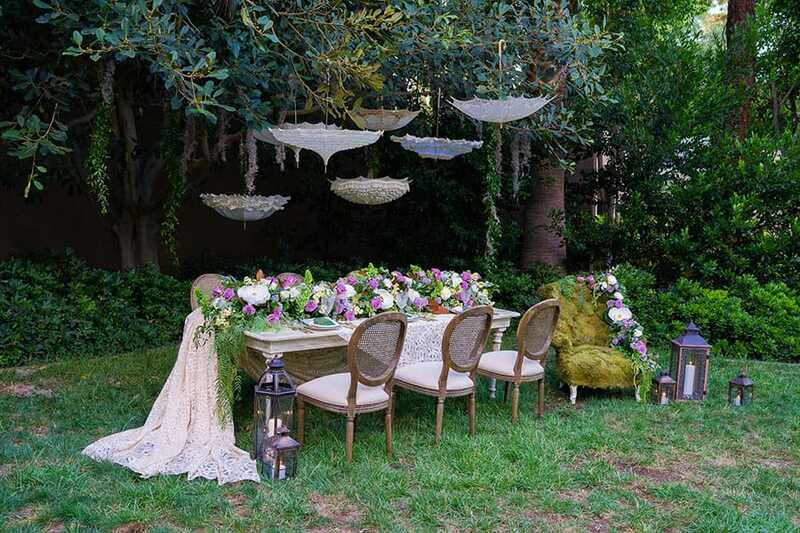 We have noticed that brides are requesting extremely elegant weddings"”but not old-fashioned. 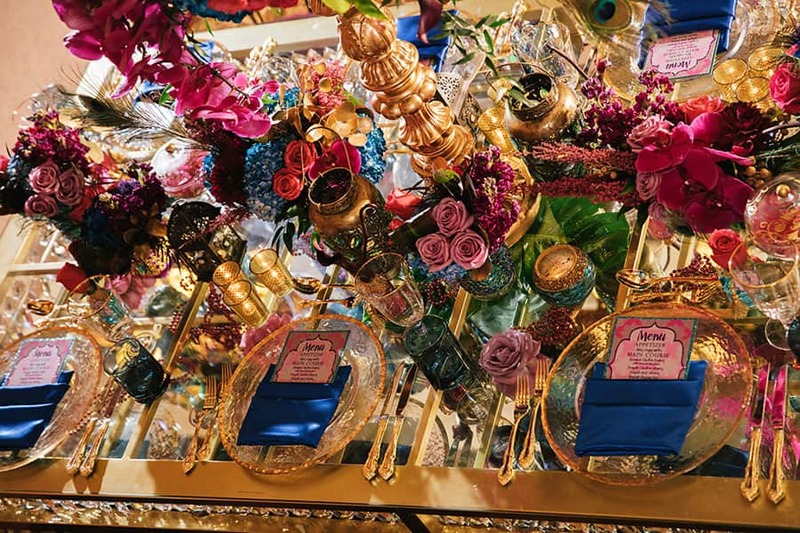 Adding whimsical elements can take a classy, sophisticated wedding and ensure that it doesn't lose that special element of fun! Sparkle, sparkle, sparkle! 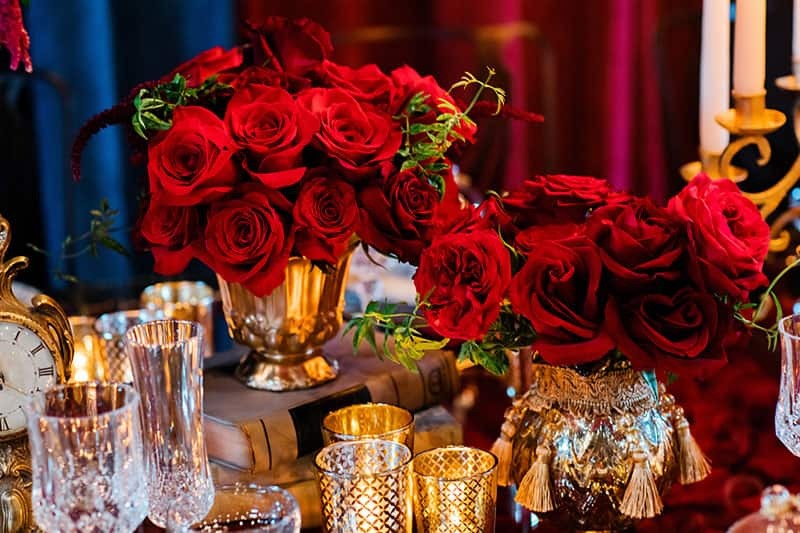 Over the past several years brides have been loving gold accents but in 2018 we expect brides to lean more towards silver, crystal and sparkle décor accents. The color combination of the year is pairing rich jewel tones. It's so romantic! Previously pale pinks, mint and lilac were very popular. But, going into 2018 color pallets will be much richer and darker"”burgundy, emerald, navy and more! We are loving the balloon trend! They started popping up at weddings and parties in 2017 and we only expect that to grow this year. Balloons signify celebration"”so it's the perfect décor addition for the biggest party of your life. 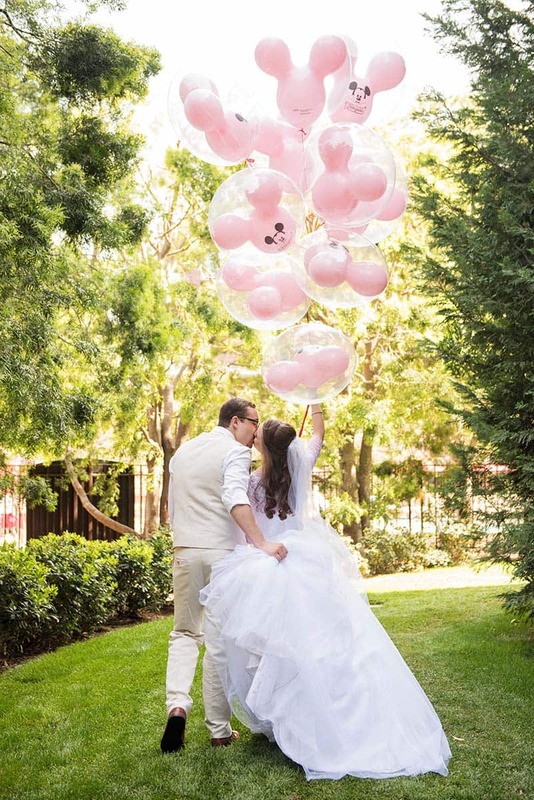 Whether that's statement balloon centerpieces, photo props, or fun balloon wall"”balloons offer a magical, whimsical and enchanting décor option for your Disney wedding. 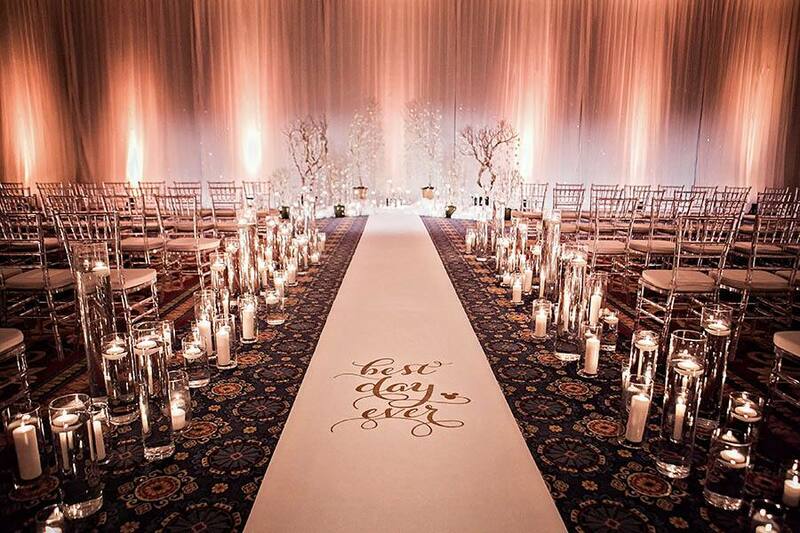 Let us help you create the wedding of your dreams! 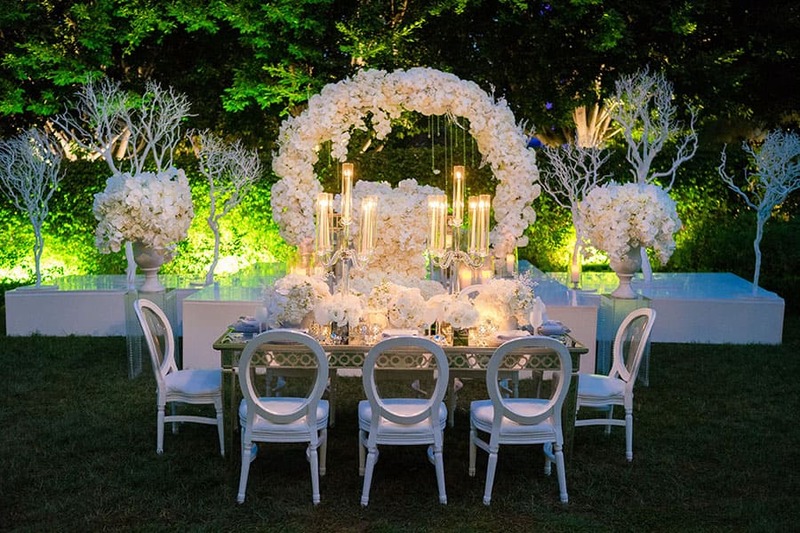 Whether you're wishing for an intimate beach ceremony or an extravagant castle wedding "“ we are here to make your fairy tale a reality. 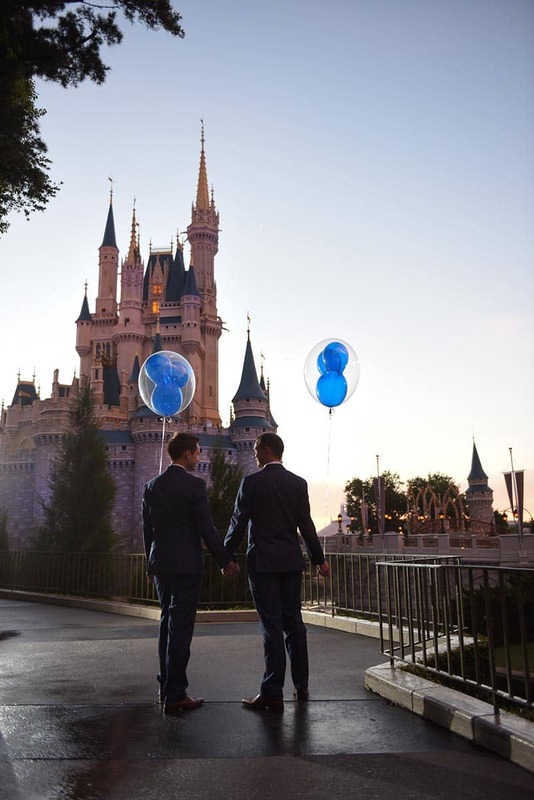 For more information about planning your Disney wedding click here.